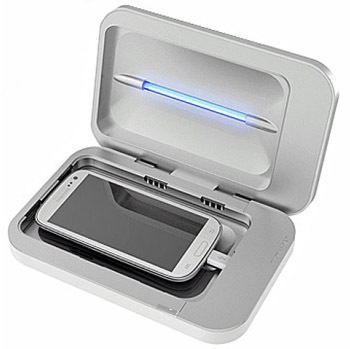 PhoneSoap is a combination smart-phone charger and sanitizer. It uses UV light to sanitize your phone. Which works, to some extent. But it’s useless if you don’t wash your hands, because that’s where your phone bacteria would come from. At the same time, if you do wash your hands, then you’re not getting bacteria all over your phone in the first place.